In a marketplace flooded with messages competing for your customers’ attention, it’s essential to understand their behavior and motivations, then create relevant content in the right formats that will be seen and consumed. By leveraging our team of content creators, optimizers, and distributors, Symmetri builds a marketing plan based on intimate customer knowledge that will ensure your content reaches the exact audience it was targeting. Positioning as an industry leader. With Symmetri, SGK conceived a quarterly newsletter on topics of high-level, international interest for marketers. 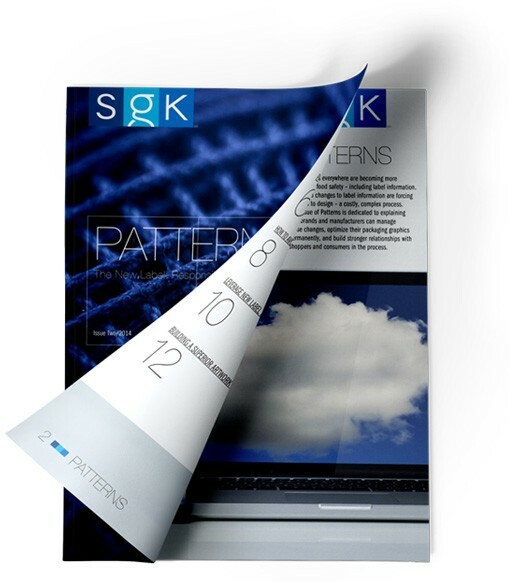 “SGK Patterns” delves into each subject from numerous points of view, with these core aims: Give marketers a strong foundation in a current topic and show SGK’s engagement with marketers and the issues they face. The stories are presented in a dynamic, colorful, highly readable format, available as an online PDF. The publication is supported with promotion across all SGK external communications channels. The white paper has seen significant downloads based on tweets promoting the content. And retweets are creating greater exposure of SGK to marketers around the globe.